Ody’s Country Meats is a small town meat market that is family oriented and providing services such as custom slaughtering, custom processing, retail sales, catering and much more. 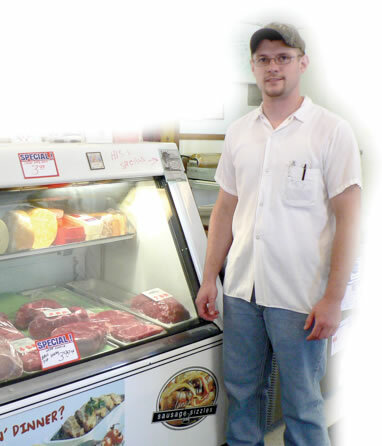 Cody Koebke purchased Buster’s Country Meats on July 1, 2011. He officially changed the business’s name from “Buster’s Country Meats” to “Ody’s Country Meats” on July 1, 2012. Buster’s Country Meats was established in 1978 by Buster Johnson of Spring Valley, MN. Cody started out as the cleanup boy and lawn mower for Buster’s Country Meat’s when he was 15. He worked his way up to cutting meat and sausage making. Cody worked under Buster for eight years and throughout that time, Buster taught Cody many things about the business. Cody attended college for business administration and then the decision was made to sell the business to Cody. 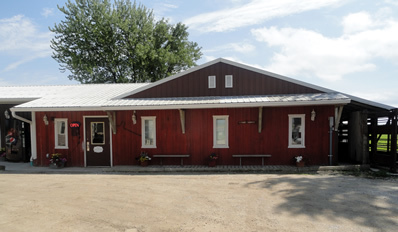 Ody’s Country Meats is located just south of Spring Valley, MN, off hwy 63.